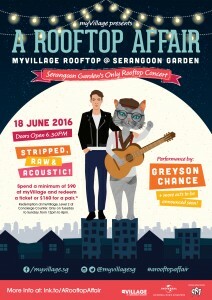 Serangoon Garden’s Only Rooftop Concert! 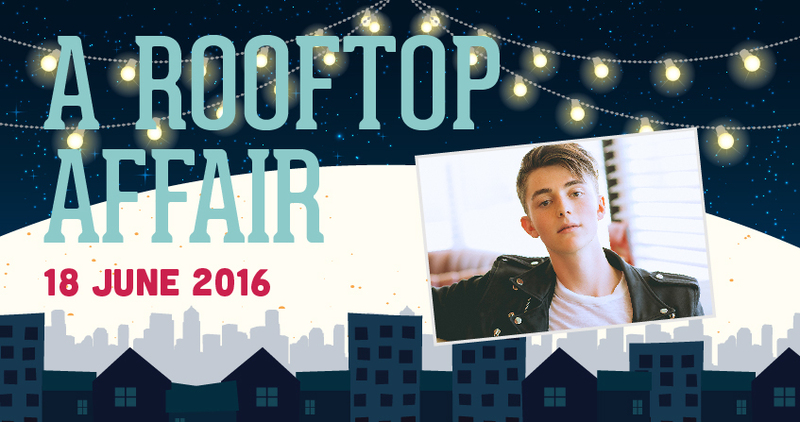 HEADLINED BY U.S. SINGER-SONGWRITER GREYSON CHANCE, WITH MORE ACTS TO BE ANNOUNCED SOON! 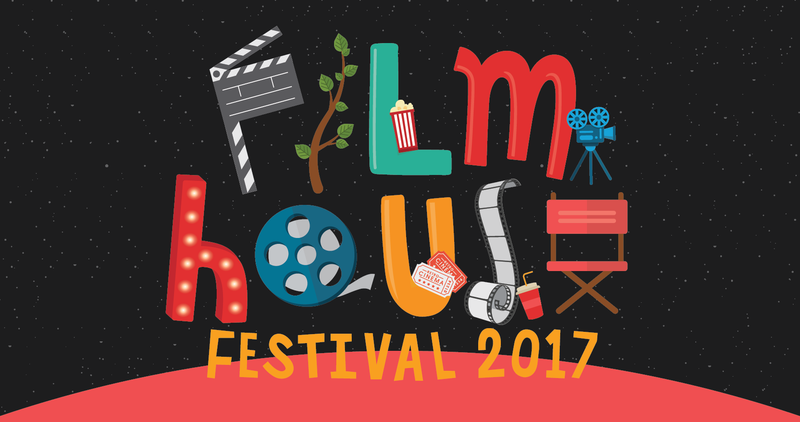 I’ve been working on this way before Filmhouse Festival ever happened, but it took me a while before I could actually tell you about it. 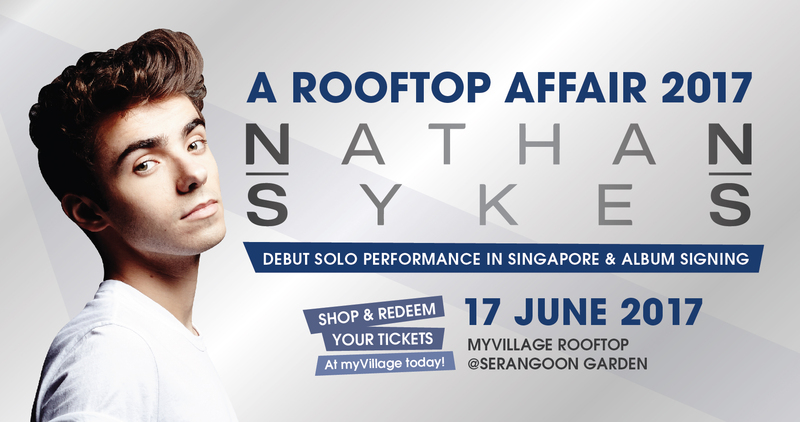 I’m pleased to announce the return of A Rooftop Affair – Serangoon Garden’s only rooftop concert experience on 18th June 2016, from 6.30pm at myVillage Rooftop at Level 3. 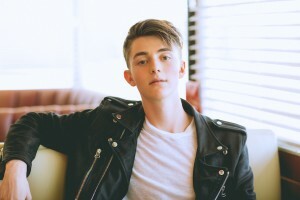 This year, American singer-songwriter Greyson Chance is set to perform his new songs for fans in Singapore. In addition to Greyson Chance, more acts will be announced soon. Stay tuned!